The vision of the ideal future retail shopping experience most consumers have in mind is one where the digital and physical worlds merge to create a seamless, frictionless, personalized shopping experience allowing them to easily find the products they want and purchase them all in one place, saving both time and stress. For retailers, abandoned shopping carts, especially from mobile shoppers, represent missed opportunities to make easy sales from consumers who are already interested in purchasing, but are finding the process to be challenging. The promise of a seamless experience is quickly becoming a reality as universal checkout — the ability to use a single website, mobile application, or technology to purchase products from different stores at the same time using a single checkout — is beginning to gain steam. As part of the POPSUGAR Future of Retail Experiences study, we wanted to explore women's interest in the notion of universal checkout and how it might change their shopping behaviors. 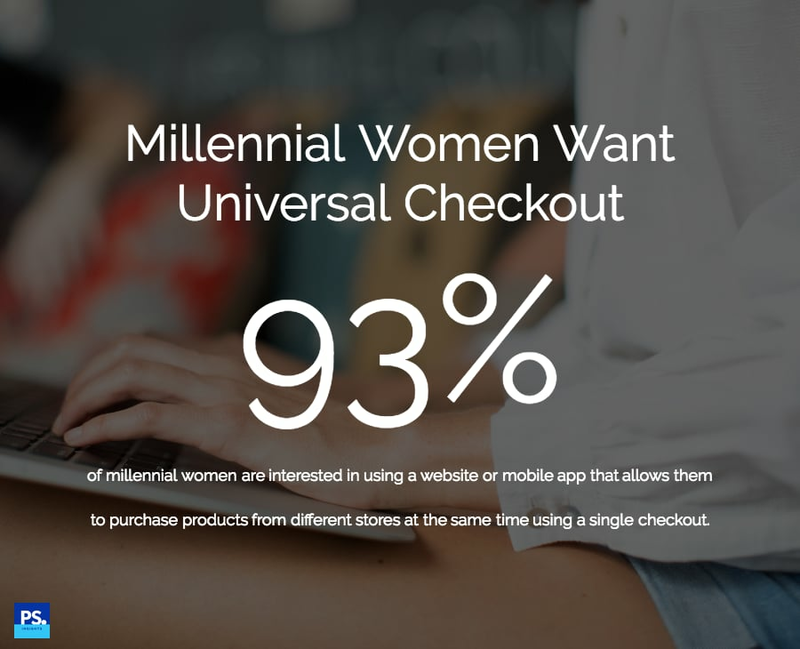 Overall, 93% of millennial women say that they're interested in using universal checkout. Across all female demographic segments we surveyed, interest levels are high, showing a large amount of support for the concept and an understanding of the potential benefits. Millennial women are 6% more likely than women 18-49 to be interested in universal checkout. After gauging interest in the concept, we asked women if they felt that universal checkout is important to them, alongside other types of evolved shopping experiences like same-day delivery, purchasing via a smart TV or connected device, the ability to purchase directly from social media platforms, or smartphone shopping becoming the default way to shop. Millennial women ranked universal checkout as the second most important shopping experience, ranked behind only same-day delivery in importance. This ranking was universally held across not just millennial women, but all women ages 18-49, proving that the ability to have a seamless checkout is important to women of all ages. Finally, we asked women to select the shopping experiences that they feel will become an everyday reality in the next five years, moving from concept to something tangible that women can use on a daily basis. While a slightly higher percentage of millennial women felt that purchasing via specific platforms like smart TVs or connected devices (35%) or social media (32%) were more likely to be a reality, 30% felt that universal checkout will become a reality. While interest in universal checkout is high and millennial women consider it an important product, the promise lies in the ability for companies to turn universal checkout into a reality by creating a product that allows consumers to seamlessly and effortlessly purchase items from multiple retailers in a single checkout.